The electric Bik.e designed by VW has been launched at Auto China 2010 and is designed to fold up and fit in your spare tyre comparment. 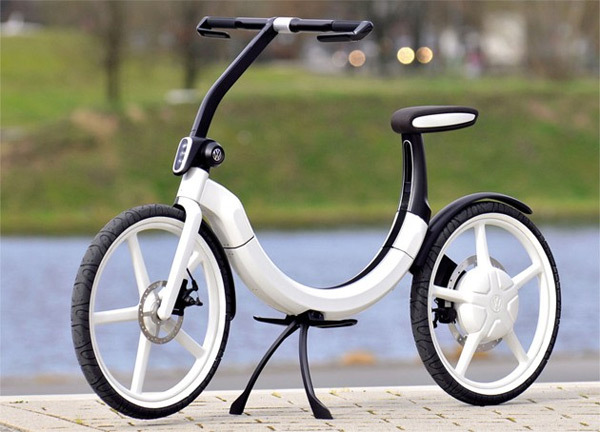 Th Bik.e is capable of 12.5 miles on a full charge with a top speed of 12.5 mph. Check out the video after the jump. No details are given as to how long it takes to fully charge, but apparently the Bik.e’s battery can be replenished by DC current in your car or via AC plug. Unfortunately VW hasnt released any details as to when the Bik.e will go on sale.